Welcome to Spooktober 2018! Our first book this year is Carrie, Stephen King’s first published novel. 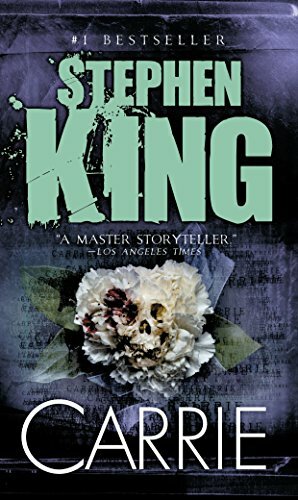 Even if you know what happens—and you have probably at least encountered the pigs-blood-prom-night thing through cultural osmosis at this point—the way King builds to and follows that iconic scene keeps this book plenty spooky.